If you are a contractor, painter, lawn or landscape contractor, landscape architect, remodeler, plumber, or electrician, you may be subject to the many new requirements of the PA Home Improvement Contractors Act (73 PS 517.1-517.19). Failure to follow these requirements may result in significant penalties and civil and criminal legal problems. Anyone who does home remodeling or basically installs any improvement in or around the home. Electricians, plumbers, framers, roofers, etc. Even if they do not enter into contracts directly with consumers. A retail store that installs products in the home (i.e. a flooring store that installs floors). For a copy of the act or for documents that comply with the new act please call 610-933-8069 and ask for the new Home Improvement Contractors package or click here for the attorney General's FQA and a copy of the act. 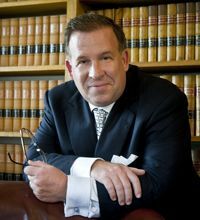 While the lawyers that work directly with me in our trust, estates, and asset protecttion section focus their work on estate planning, wills, trusts, and asset and tax planning and protection, compliance with new laws is important for our clients. Accordingly, we ask lawyers in the firm's other departments to keep us posted of important legal changes that may affect our clients. or email [email protected] to request the new law package.